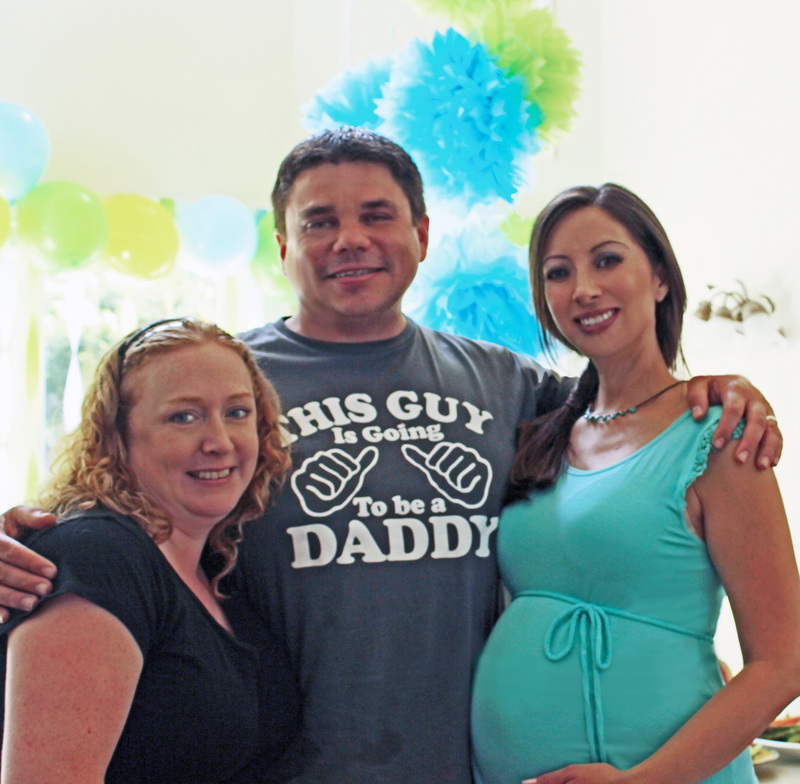 I was elated when my good friend, Tara, took the reigns on throwing us a very memorable Baby Shower here in Maryland. We decided on a co-ed party to be hosted at our place, but Tara insisted that neither Tony nor I be involved with the planning or preparation of any of it (you have no idea how difficult this was for me and my husband!). So for the last several weeks, between Tony, the Hopeless Control Freak, and Yours Truly, the DIY Crafter and Party Planning Freak, we did our best not to intrude. Come the day of the shower, even as much as we wanted to stick around and help with setting things up, Tara unceremoniously kicked us both out of our house with strict orders not to return until party time. Obediently, Tony and I left. We spent a few hours wandering aimlessly around town, but were eager to get back and see just what she was up to (Well, at least I was… Tony was more eager to get back and monitor the mayhem that was surely ensuing in his kitchen). When we returned, the house was alive with people. Colorful balloons, favors and decor made for a super fun entrance and as we walked around and greeted our guests, I took some time to notice all the adorable things Tara and her helpers put together. Everything from creative signage, food and beverages… the Pinterest world would be proud! Plenty of games and activities kept us all laughing. Tony took home the prize (by a long shot) in “The Price is Right, Baby Items.” I was rather impressed that he somehow knew more about the price of formula, wipes and pacifiers than all the people present who already had babies of their own… but somehow, nobody was surprised! That’s my hubby! Other fun games included a diaper modeling contest and, probably the party favorite, watching Tony and I race to change a dirty diaper. P.S… If it looks like we have no idea what we are doing, it’s because we don’t! And a very extra special THANK YOU to Tara, who I know put a lot of time and effort into making this day extra special! We love you girl!! Help me build my Recipe Box! The art of crafting in the kitchen is an area I want more experience in (and want to have more fun with! ).